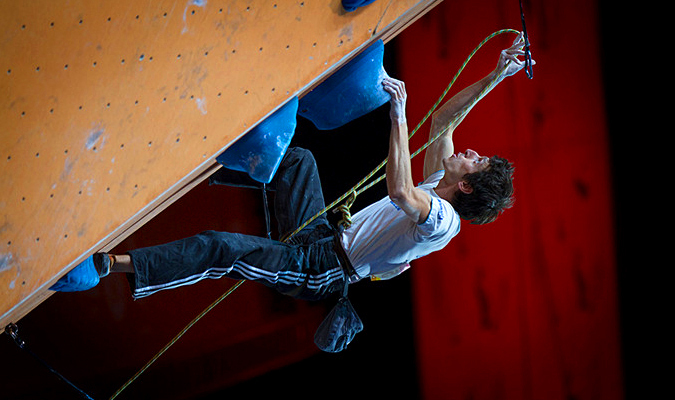 Romain Desgranges (approximate pronunciation: roh-man deh-grunge) is not your typical top climber. As he himself says, he doesn’t have any “super-powers”, just like most of us. Yet, he’s climbing 9a, repeating 8B boulders quickly and he’s also the reigning European champion for competition lead climbing. This is why we thought that getting to talk to him might not only be interesting, but also relevant if not helpful to many climbers. Salut Romain! During the last few years we have seen some very young athletes such as Johanna Ernst, David Lama and Adam Ondra obtain some excellent results in the competition circuit. 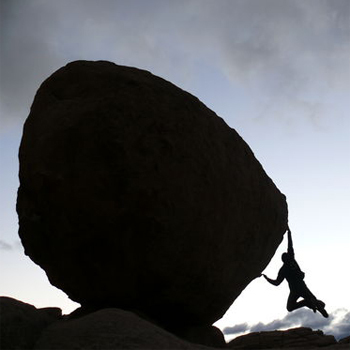 It is now very common to think that climbing is a sport for extremely young and gifted athletes. On the other hand, your better results started to arrive when you were already around 27-28: third at the World Games in 2009, fifth for the Lead World Cup season in 2011 and 2012 with a few bronze medals in single events. It looks like even the more senior athletes can improve and perform better! How did it work for you? But I am very motivated, I believe in myself and, above all, I love what I do: I love training, getting carried away with it, giving everything I have. Slowly, I follow my path, I progress and I keep going. I wake up every morning and I always desire to climb and train, without thinking too much about the age I should be according to my ID! You have had your first international victory this year, at age 30, with the European Cup and the European Championship (both in lead). What did these two great results mean in the perspective of your career? Do they feel like a new starting point? Not a starting point, but for sure a continuation, a milestone that I have completed. Deep inside, I knew that I could do it, that I could get there. Now I have do it again, moving from “I can do it” to “I must redo it”. But indeed you have already “redone it”: you won one event and then another! How did the first time feel, in Ekaterinburg, quite early in the competition season (mid May)? For the European Cup in Russia I was very happy with the win, but personally it was more like a training competition, some preparation for the season. It was a checkpoint for my yearly training up to that point and to get ready for the main objective: the European Championship. With my trainer Fabrice Judenne and the coach of the French national team, Corentin Le Goff, we had considered this European Cup and the French Championship (which were only one week apart) as a training objective. In Russia I got my first Marseillaise and although I was very happy and satisfied about it, I knew all too well that some big names such as Ramon, Jakob and many others were not around. I was the top seed for that competition, so the victory was somehow expected. The European Championship, on the other hand, was a completely different thing, a different league, a dream, the number one objective of my season. Well, after having won the European Cup and the French Championship, I went back to training, fine-tuning things in order to peak again for Chamonix. The dimension of the event was very different, it was the biggest single competition of the year. I was home, with some 20 000 people at the feet of the comp wall, all the strongest climbers in Europe were there. When I think again about this competition, I have blurred memories from the qualifications, the semifinals and the final. On the other hand, I remember well (and I think I will for the rest of my life) the moment in which Ramón, last one to climb in the final, was approaching my highpoint, it was a matter of him or myself for the first place, I was completely in a trance. But suddenly he fell and I recall seeing my trainer jumping towards me and the coach of the French team crossing the front of the venue to join us and hug me too. During the rest of the season I remained really focused on my competitions and on my training, but now that the season is over I start to realise it a bit and… frankly it’s crazy that I am the European champion. It’s hard to believe that I, Romain Desgranges, managed to beat everybody on that occasion! What can you share with us about your training sessions? Is it a fairly typical programme, maybe similar to that of your team mates, or is it very personalised? When it comes to actual climbing, it’s very simple: I just climb every day two times a day. When I can’t even do a 6a, I take a rest day and then I start again. The rest is calculated very precisely with my trainer and the coach of the French team in order to progress, to raise my level and be as performing as possible at the competitions. With them, I cover conditioning, bouldering, endurance, campusing etc. During the final of the 2012 World Cup in Kranj, Sean McColl was commentating and said that you are the “mechanic of climbing” because you have some sort of engineering knowledge of all aspects of climbing movement. Can you tell us something more about this unique compliment? You have admitted having little power in the traditional sense of the term. How do you make up for this? That’s certainly true, if you take away feet from my climbing I am nothing, a junior at his first year of sport training is for sure stronger than I am. I have the biceps of an old granny, but again I train hard to work around it. I’ve always said to myself “I might pull harder with my arms, but I might as well push more with my feet”. What tips would you give to intermediate climbers to improve their technique? 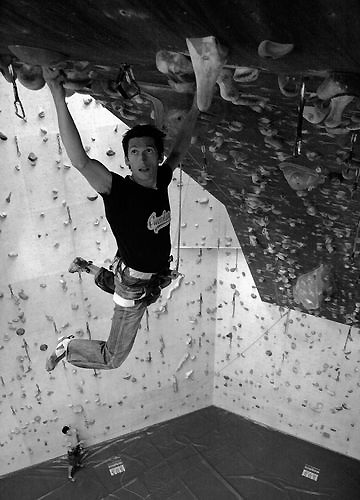 You should climb being fully aware that technique can always develop more, even more than the physical side. I use physical strength just as a last resort if it’s not possible to do otherwise through technique. I often hear people say “I need to train my abs more in order to contain my body’s swing” and I always reply “you might need better feet placement in order to avoid swinging out with your body”. They are really the ones that gave me the desire to become a climber, although I haven’t had contact with them subsequently. I believe I met François Petit and François Legrand sometimes, although we didn’t end up talking a lot about climbing and training. You live in Chamonix, at the footholds of the Mont Blanc, one of the most important alpine massifs for mountaineering. However, the city has long been a reference point for competition climbing too. How do you think the culture for alpinism, for cragging and for competitions can manage to coexist together in the same environment? In Chamonix there’s a great culture of sports in general. Everybody is very active: ski in the morning, up in the mountains, then coming back down at lunch time with a paraglider, then climbing in the evening and the day after you might go biking. It’s really a culture of continuous physical effort. The city is very attentive to have a policy that pushes people to do sports and it puts its citizens in a great environment and facilities to do so. Technical and financial resources are made available so that Chamonix and its inhabitants can enjoy all outdoor and mountain-related activities. Do you follow or practice other sports? I’ve read that your “ideal climber” would have something taken from footballer Zinedine Zidane and tennis player Roger Federer. What would that be? I can’t really say I do anything other than climbing. By the time I am done climbing and training for the day, I’m too tired and I don’t necessarily feel like exercising any more. Regarding Federer and Zidane, they are sacred monsters, divinities! In their own disciplines, they are masters of technique, both of them, they are something insane. There is something that really interests me in their class and in the ease with which they make use of it, it really means a lot to me as a sportsman. If I could be their technical equivalent, I’d sign with blood! We really liked your video series called “A Climbing Life Opus”. It features just images and music, without words and it’s really different from the most part of climbing videos around. How did you get the idea? 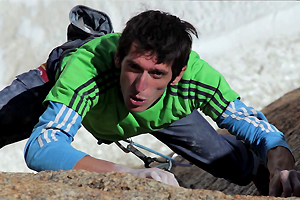 For the two videos shot outside, you have chosen two very special places that are not too known in climbing: Castle Hill in New Zealand and the Grande Gendarme of the Arête des Cosmiques on the Mont Blanc. What brought you to this decision? Initially it was simply a selfish idea to climb for myself in some of the most beautiful places on the planet, but then it was also a matter of capturing those images in the best possible way, by going at the world’s end from where I live or at 3800 metres of altitude. Furthermore, I must confess that I like to do things differently from others, I like being a bit bizarre. 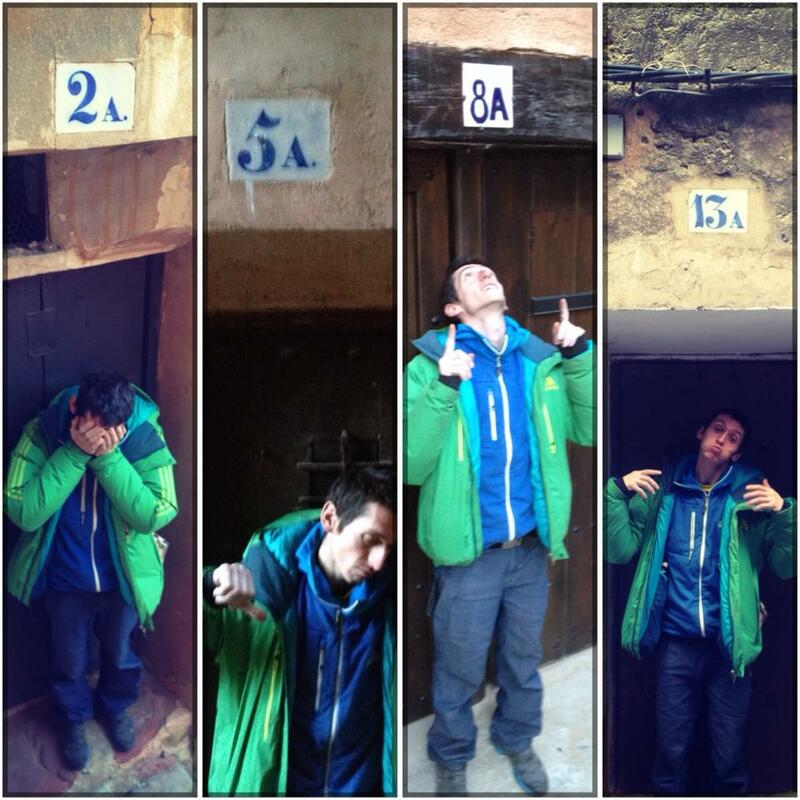 You just came back from Albarracín, a bouldering spot that has grown in popularity in recent years. How was it? Finally, what do you see in the future of your climbing? 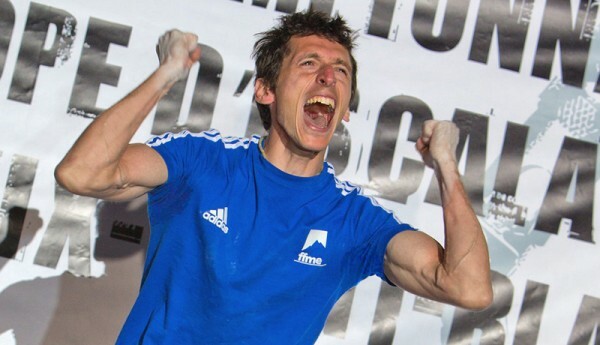 Romain is sponsored by Adidas, La Sportiva, Chamonix, Beal, Weleda, Snap, Expression Holds and PowerBar.